Multiple Texas beaches have high levels of bacteria. Texas health officials are warning beachgoers that higher levels of bacteria have been found at multiple beaches in the Galveston area in the Gulf of Mexico. Water quality on beaches is measured throughout the state to keep track of bacteria levels in the water. Following weeks of heavy rains in Texas, officials said they have found high levels of Enterococci bacteria in 17 beaches in the Galveston area. Enterococcus is a kind of bacteria that often occurs naturally in the intestinal tract of humans and animals. Currently, 23 beaches in Texas have high levels of the bacteria, officials said. "The simple truth is that all of that is running down the river," said Davis, who said the bacteria can turn Gulf water into almost toilet water. "It sounds bad to think of it like that." 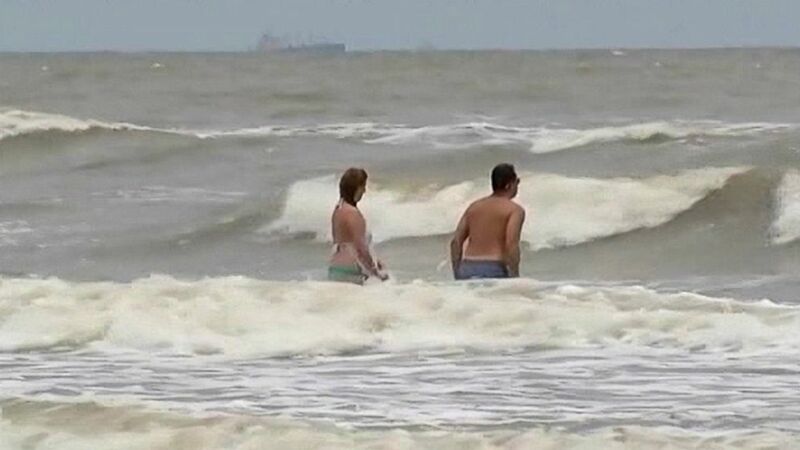 (KTRK) Health officials warn swimmers to be careful after bacteria has left "toilet-like" water in the gulf. Summer is a common time for the bacteria to appear, said Scott Packard, the public information officer for the Galveston Health Department, noting that the health department tests the water every day until the bacteria levels reach lower levels. "We want people to make sure that they have the information to make their own decision," he said. While signs and alerts are posted along the beach, swimmers are allowed to enter the water at their own risk. People who have weaker immune systems, have open wounds or other underlying conditions should think twice about entering, Packard said. Dr. William Schaffner, an infectious disease expert at Vanderbilt University Medical Center, said extra bacteria in the water can lead to diarrhea or other gastrointestinal symptoms. If people enter the water with open wounds, they risk infection, especially if another kind of bacteria called vibrio vulnificus is found in the water. While Schaffner said the "risk is low" for an outbreak even after weeks of flooding, the warnings are an important part of keeping the public healthy and informed. "For both the genuine public health reason as well as the yucky factor ... people close beaches that have been polluted," he said. "Enjoy the sun and sand but stay out of the water."